Before changing or adding maps, please read the brief guideline on the organizational schema About this Category developed during an eight month effort by a working group in 2007–2008. 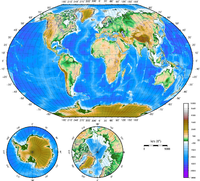 Category:Cartography – for map symbols, projections, etc. The following 200 files are in this category, out of 1,803 total.